Stickers are an independent, creative form of expression and an integral part of contemporary street art and visual culture. Favoured amongst street artists, graphic designers, illustrators and typographers, they have become a common phenomenon throughout cities all over the world. Inexpensive and easy to produce, stickers often aid in effective guerrilla advertising campaigns or individuals making their mark on their urban landscape. Stickers 2 presents over 150 international artists who are expressing themselves through this versatile medium. Stickers are created from various materials and techniques by hand, photocopies and posters that are wheat-pasted to walls. Motifs vary from quick sketches and figures to complex designs and artworks that are often perceived as logos and tags, widely repeated and distributed through a practice called sticker bombing. The messages stickers spread are ephemeral, subversive and humorous and the simple and quick means of production lends to their flexible and spontaneous nature. Stickers 2 is a collection of over 700 stunning examples of contemporary sticker designs from around the world, spanning cities and rural areas across the USA, Brazil, Australia, Singapore and Europe. Essays and contributions by artists and connoisseurs of the scene provide further insight into the background of this underground phenomenon. 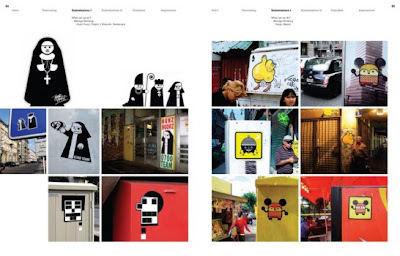 The authors of this book are the founders of the International Sticker Awards. 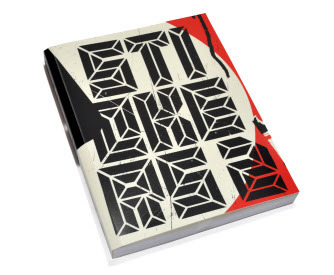 The book is available from the Die Gestalten website or from Amazon.